Approximately 50 km from the city of Bengaluru is the small town of Ramanagara, which is located on the Bengaluru-Mysore highway. 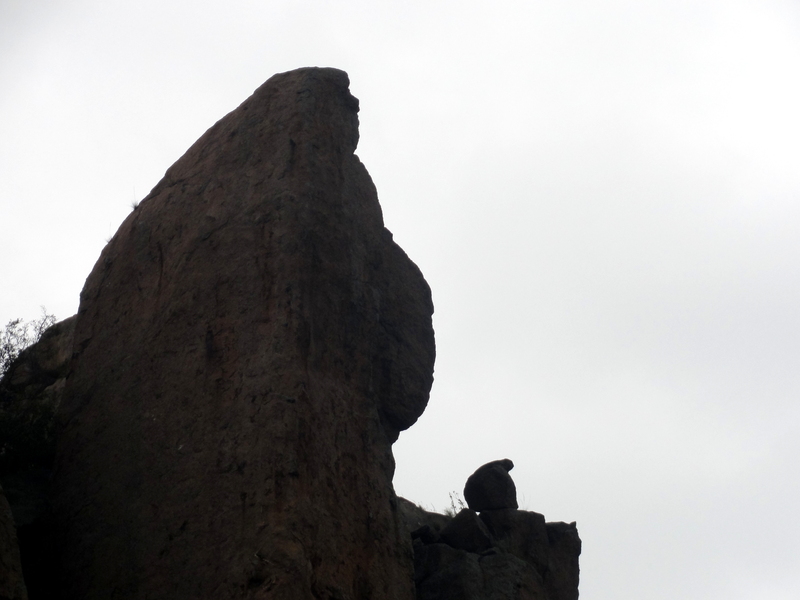 The town is famous for its silk production, cocon market and its symbolic rocky boulders. 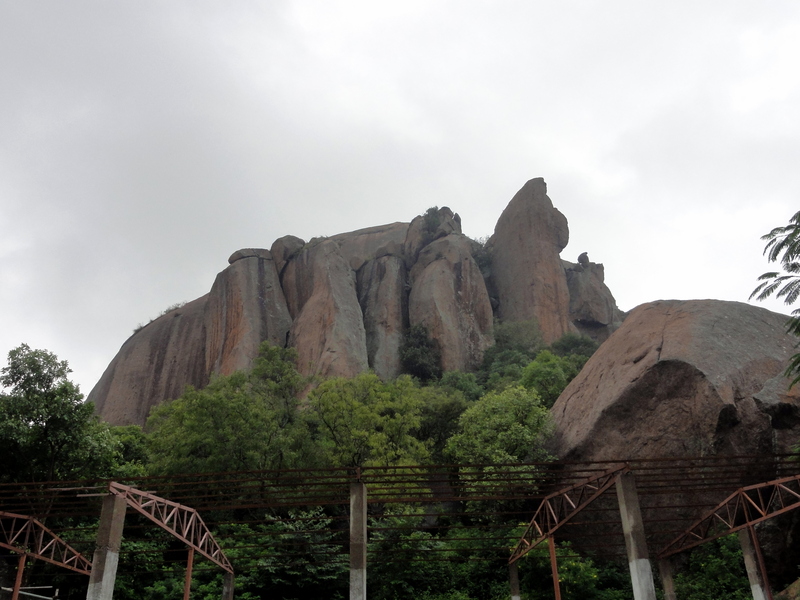 Most part of the terrain in and around Ramanagara is surrounded by natural granite rocks and it was in this region that the iconic Hindi movie Sholay was shot. It is no surprise that this place is a haven for rock climbers and trekkers. One of the most interesting places in this region is undoubtedly the “Ramadevara betta” which literally translates to “Hill of Lord Rama”. 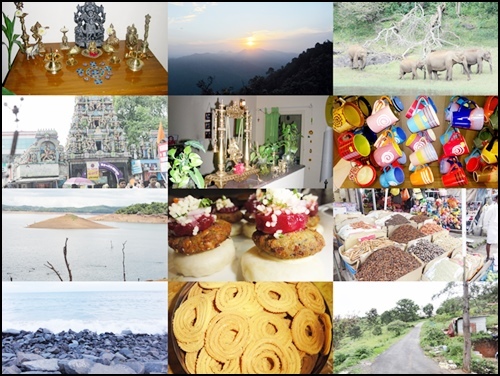 Given its proximity to Bengaluru, it is a great option for a day trip from the city. 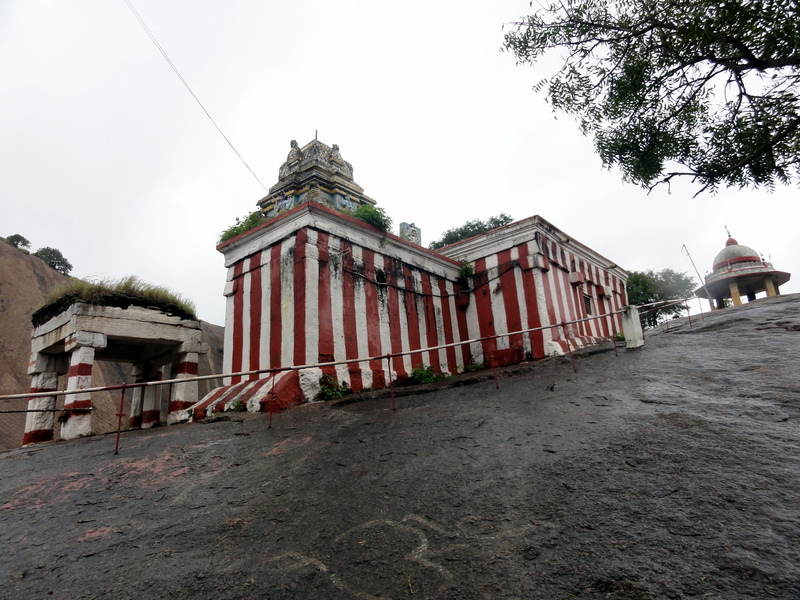 The temple itself is accessible by a flight of around 350 steps, though the climb is not too strenuous. It also helped that we visited the place on a cool, slightly wet morning and hence we were able to complete the climb within 30 minutes. 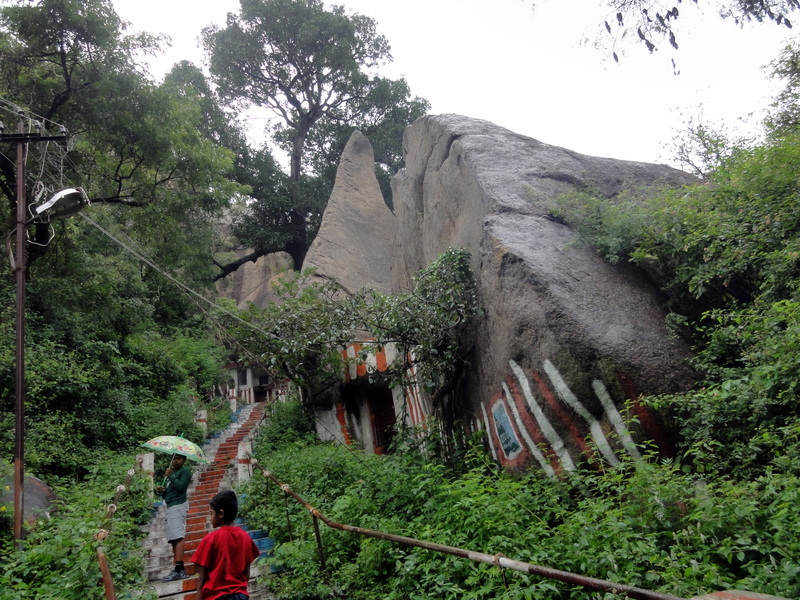 The path leading to the top is enclosed by abundant greenery and the trademark boulders, many of which have figures of Gods on them. 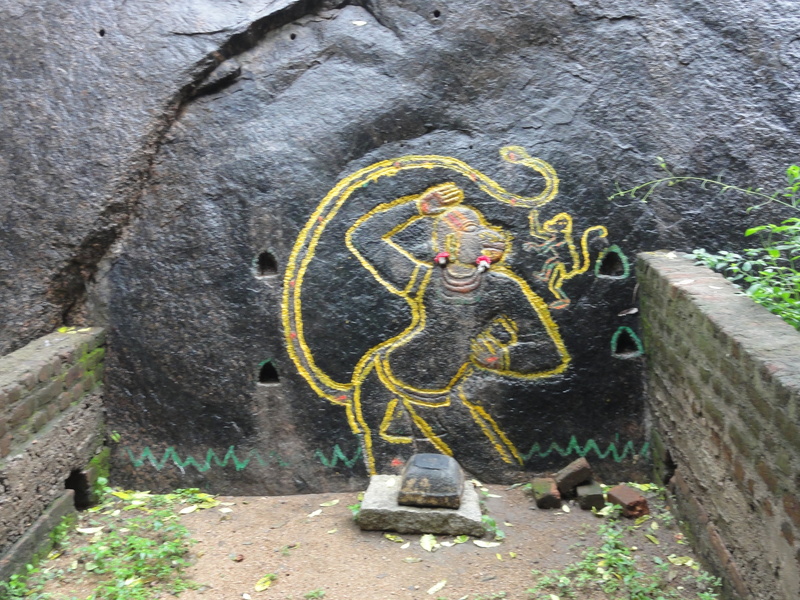 One of them with Lord Hanuman, at the beginning of the ascent was particularly striking. 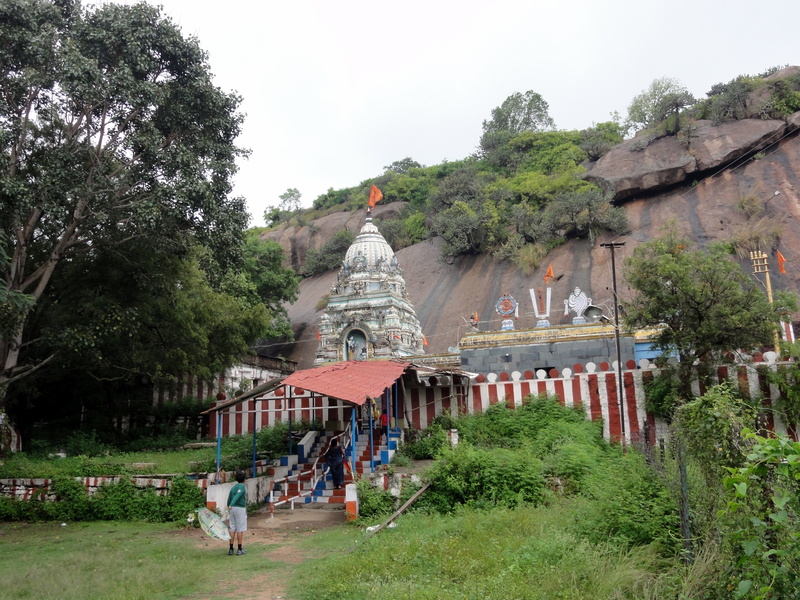 Half way to the top are small temples dedicated to Lord Shiva and Lord Hanuman. The main temple at the top, we were given to understand, is over thousand years old and is associated with a significant bit of mythology. Legend has it that the main deity dedicated to Lord Rama was established by Sugreeva himself when the former helped him destroy Asura Sukasura. There is a large pond in front of temple which is known as the “Sita pond”. We were told that there is a ‘mystery’ associated with the pond in that the depth of the waters is unknown, which is why a major part of the pond is cordoned off and people are not allowed to go close to the waters. There is a small hillock on a slightly higher level beyond the temple on the opposite side, the views from which are quite spectacular. The area is also known to home for a variety of fauna like the bear and vulture. 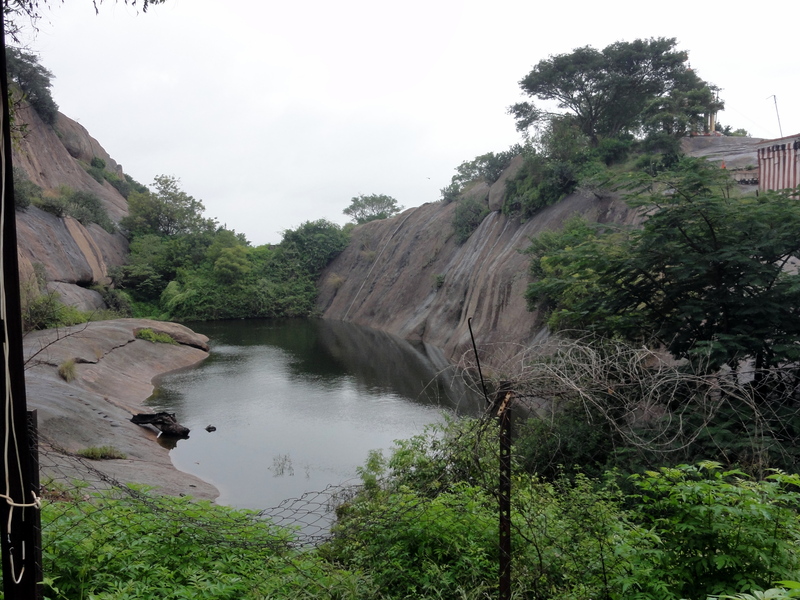 In fact, this region is home to the long-billed vultures and the Government of Karnataka has declared 346.14 hectares in and around the hill as Ramadevarabetta Vulture Sanctuary. The locals and the security team manning the area told us that early mornings are best to spot the vultures and hence we decided to reserve it for another day. All in all, a great place for scores well for those with adventure as well as religious interests! Very nice post.. We visited this place 2 years ago.. but dint know the history related to this place.. thanks for sharing .. Yes Arun, it is a great place.